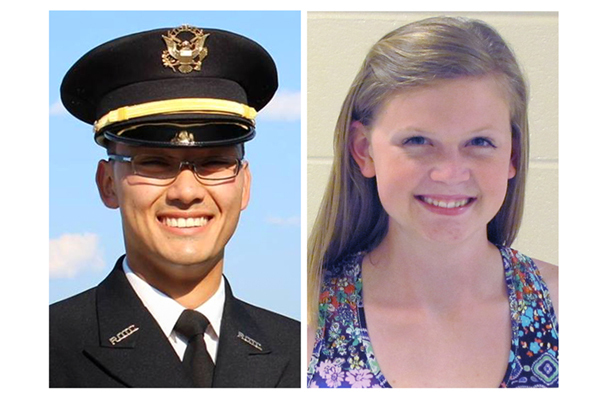 Five UNG students are among those who have received the Capt. Hilliard A. Wilbanks Foundation's scholarship. Alex Ezuka of Demorest, Georgia, graduated with a Bachelor of Science in psychological science and commissioned in spring 2017. Sara Bushey Reser, a senior from Dahlonega, Georgia, majoring in Arabic, received the scholarship in fall 2015. The $4,000 scholarship supplies the students with $1,000 each year for four years. Rosemary Wilbanks described her husband, Hilliard A. Wilbanks, as a patient and humble man who always had a pleasant expression on his face. Hilliard's sister, Patricia Wilbanks DeWitt, agreed. "He didn't want accolades for serving his country," DeWitt said. Wilbanks, however, received the highest military accolade, the Medal of Honor. 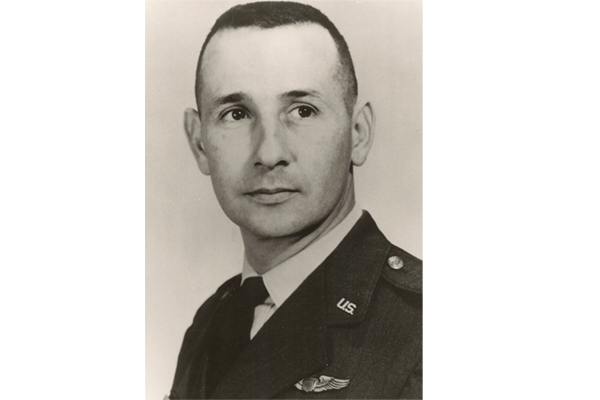 A captain in the U.S. Air Force, Wilbanks received the honor posthumously Jan. 24, 1968. 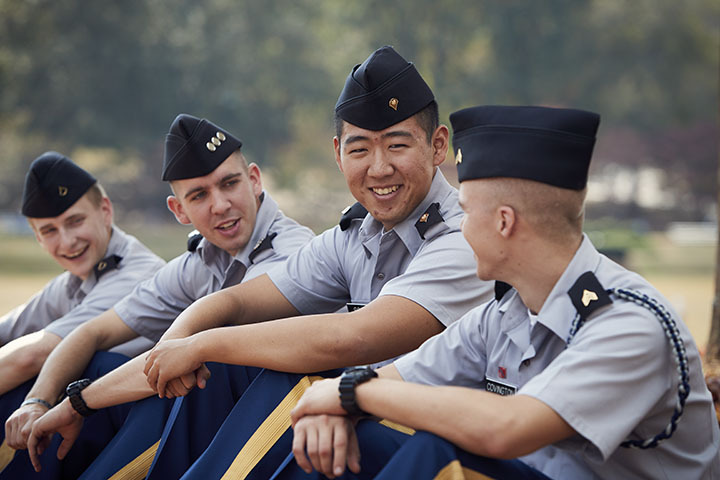 Now, the Hilliard A. Wilbanks Foundation is partnering with the University of North Georgia (UNG) to award its annual scholarship to a student enrolled in UNG's Corps of Cadets. 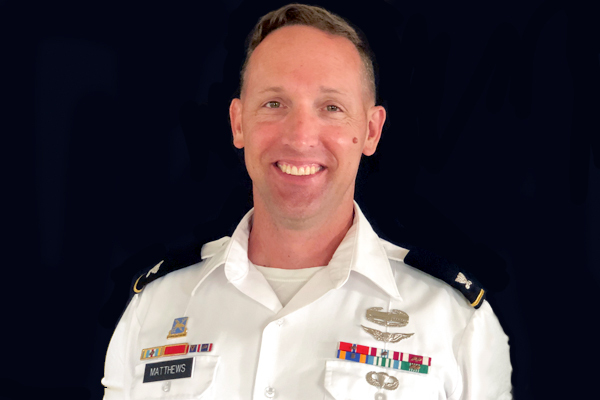 "Captain Wilbanks and his family are natives of Habersham County in the heart of UNG’s footprint," said Phil Collins, development officer for the Corps of Cadets. 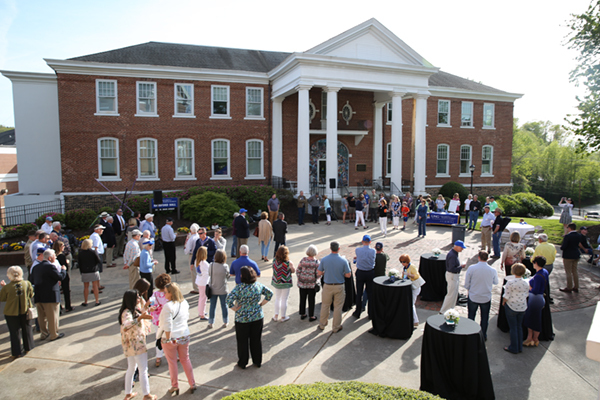 "In my opinion, it becomes an honor to host, maintain and steward this scholarship, and we are so pleased that the Wilbanks Foundation chose UNG for this purpose." According to the Congressional Medal of Honor Society website, the award is bestowed on an individual serving in the U.S. armed forces "for valor in action against an enemy force." Wilbanks was recognized for his actions while flying a reconnaissance mission with the South Vietnamese Ranger Battalion in February 1967. As a forward air controller, Wilbanks flew the O-1E Bird Dog, a Cessna-type airplane, to spot the enemy, mark its location, relay the location to soldiers, and call in air strikes. During his mission, Wilbanks saw enemy forces concealed on two hilltops, waiting for soldiers who were advancing. Capt. Hilliard A. Wilbanks posthumously received the highest military accolade, the Medal of Honor, for his actions while flying a reconnaissance mission during the Vietnam War in February 1967. The foundation bearing his name is partnering with the University of North Georgia (UNG) to award its annual scholarship to a student enrolled in UNG's Corps of Cadets. When he revealed their positions, the enemies fired on Wilbanks and began advancing. Wilbanks realized air support would not arrive in time. "To give the soldiers a fighting chance, Wilbanks flew back and forth at treetop level, shooting out his window with his M-16 rifle," Collins said. "By disrupting the enemy, the soldiers were able to safely withdraw." On his last pass, Wilbanks was mortally wounded and crashed between the two lines. The soldiers he had saved rescued him, but he died while being evacuated to a hospital, according to the Wilbanks Foundation website. "His actions that day, in total disregard for his own safety, saved a countless number of troops in the ground battle," Collins said. To keep Wilbanks' memory alive, the Habersham County Board of Education named a new middle school after him in 2011. Community members and Wilbanks' relatives were asked to help plan a dedication. From this group, the Hilliard A. Wilbanks Foundation was formed and began raising funds to provide scholarships for ROTC cadets. The mission included supporting the Hilliard A. Wilbanks Middle School and raising awareness of the Medal of Honor. In 2012, the foundation awarded its first $4,000 scholarship ($1,000 per year for four years) with seven more to follow. Students must be enrolled in an ROTC program and plan to serve in the armed forces to be eligible. Five UNG students are among those who have received the scholarship. Alex Ezuka of Demorest, Georgia, graduated with a Bachelor of Science in psychological science and commissioned in spring 2017. Sara Bushey Reser, a senior from Dahlonega, Georgia, majoring in Arabic, received the scholarship in fall 2015. She has used the money to buy books each semester. "I didn't have to spend money out of my own pocket for books, which definitely helped," said Reser, who is a member of the Army Reserves and plans to re-enlist this summer. "I want to make a career out of the Army." DeWitt said the foundation has tried to keep tabs on its recipients, but it's proved difficult. Therefore, the foundation is making a change. "We have found it difficult to keep tabs on our recipients; therefore, the board has decided it would be advantageous to the foundation to move the endowment to UNG," DeWitt said. "The majority of our recipients have gone to UNG and that's why we chose them. We are excited this will be a lasting memorial." UNG will award its first Capt. Hilliard A. Wilbanks Medal of Honor Memorial Scholarship in fall 2019. Waiting a full academic year will allow the Foundation to raise more funds to award a new scholarship each year. 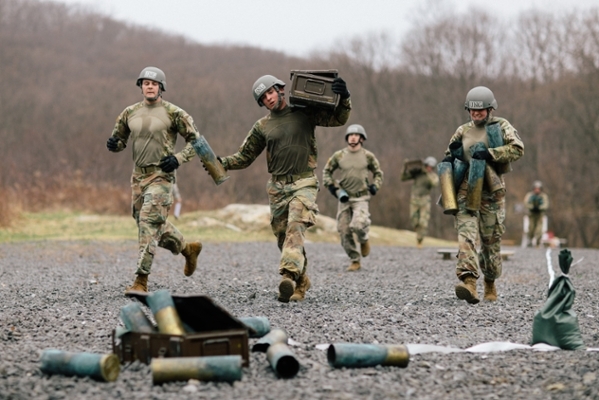 "The plan is for an entry level cadet to be supported for four years," Collins said. "It's particularly fitting because we are the Military College of Georgia."